Natasha Dowie, capped fourteen times by England, has been loaned by Boston Breakers to Melbourne Victory. Dowie will return to the W-League for the third straight year, all three with the Victory. A year ago in Australia, she won the Victory Women’s Medal, Players’ Player of the Year, and Golden Boot. She scored a Melbourne Victory record nine goals in twelve games last season, to go along with one assist, and earned a spot on the Jetts W-League Team of the Season. The 29-year-old Dowie appeared in 24 matches for the Breakers this season. She finished with a team-high seven goals, and she tallied two assists, recently notching what turned out to be the game-winning goal on 23rd September at Washington, securing Boston’s first road win since 2016. She then scored twice a week later in a 4-3 loss at home to Sky Blue FC in Boston’s season finale. 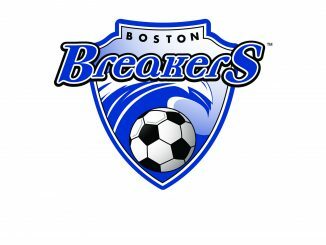 Dowie made her Boston Breakers debut on 31st July 2016, scoring 10 minutes into her first match, a 1-0 win at home against Orlando Pride. Dowie, whose career has taken her from Watford, to Fulham, Charlton Athletic, Everton, Barnet, Liverpool and Doncaster Rovers Belles, will return to Boston before the start of the 2018 NWSL season.